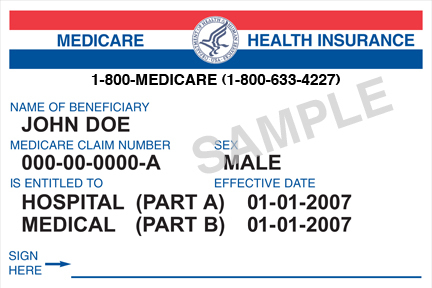 Medicare is a health insurance program administered by the United States government, covering people who are either age 65 and over or who meet other special criteria. It is funded by a payroll tax that is split between the employer and employee, or by the self-employment tax. Part A covers hospitals stays and, in some cases, nursing homes. Part B is medical insurance and covers some services not included in Part A. Part B is optional and carries an extra charge. Part D is the Prescription Drug Plan (PDP). Anyone with Part A or B is eligible to purchase Part D from a private health insurance company. It may also be combined with a Medicare Advantage plan with prescription drug coverage (MA-PD). It’s important to note that Medicare only pays a portion of your bills. There can still be substantial out of pocket costs and deductibles. There is no charge for Part A. The cost for Part B varies depending on your income. As with most government programs, there are a lot of ins and outs, and our Congress sometimes plays politics. The full details are available at the Federal website. Medicare Advantage Plans (Part C) have been rapidly expanding. They are offered by insurance companies and provide additional benefits on top of Parts A and B. Prices vary with providers, location, and coverage. There are several with no premium. Higher premium plans may cover more of your deductibles and co-pays, and some offer extra benefits. Many also include Part D prescriptions. Some also include health club, hearing, vision, and dental benefits. Some insurance companies also offer plans called Medigap. These aren’t true Advantage plans, they just piggyback on standard Medicare and reimburse you for some of your deductibles and copays.